Smile improves the confidence and white teeth are a point of concern for a cute smile. Anybody don’t want to make a mess with beauty and self-confidence, and many people shun teeth whitening treatments with harmful chemicals or medication. Ancient medical science has shown many remedies with simple procedures and handy ingredients to attain a beautiful and confident smile. 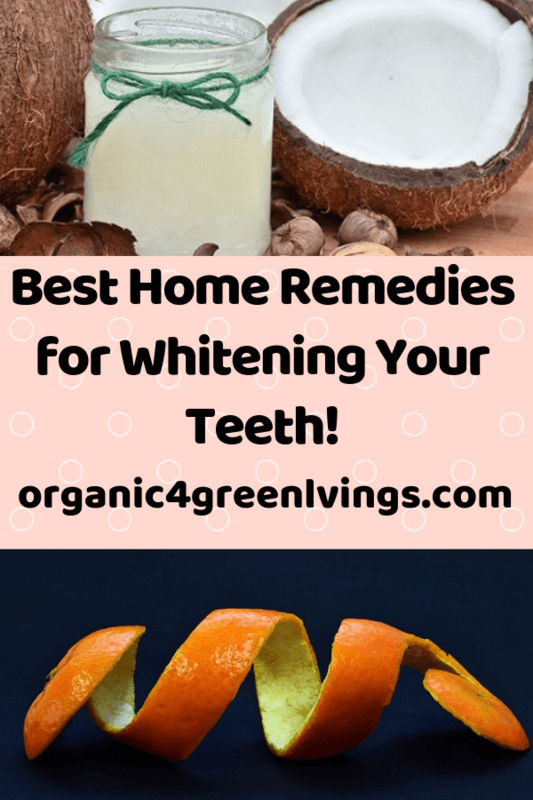 Anyone wants their teeth white and dazzling without any side effects, and at-home teeth whitening kit and other kinds of home remedies gained popularity in the recent past. Here are some of the disadvantages of commercial teeth whitening treatments. Artificial ingredients are another disadvantage of this kind of treatments. These are filled with ingredients foartificial flavors, artificial fragrances, alcohol, sodium lauryl sulphate, hydrated silica, and many other dangerous ingredients with plastic polymers that harm circulatory and digestive systems of the body at first. Artificial ingredients and chemicals might cause dangerous effects like sensitivity in teeth when hot or cool products are consumed, and irritation in teeth and gums can be observed. Yellow teeth are hazards for sparkling smile. The enamel of the teeth turns yellow due to changes in diet, lifestyle habits, and poor oral hygiene. Food that is rich in tannins and sugars cause yellow teeth. Beverages like soda, wine, and coffee cause yellow teeth. The illness that involves in strict use of antibiotics or steroids might cause yellow teeth. Factors like smoking and chewing of tobacco will reduce the white enamel and will lead to yellow teeth. Smokers are advised to quit smoking and brush the teeth twice daily to get white teeth and dazzling smile. Poor oral hygiene might lead to yellow teeth and good habits like brushing teeth daily and brushing teeth after eating and drinking prevent the reduction of the enamel layer and protect your teeth and gums from bacterial infections. Beverages like coffee, tea, soda, and wine contain tannins which cause yellow teeth. Brushing teeth after eating and drinking is a natural remedy to gain your dazzling smile back. Since poor oral hygiene is one of the causes of damage to enamel, maintaining oral hygiene is the best idea to get a sparkling smile. Gargling with hot water and salt if you cannot brush your teeth at a particular time will be one of the good remedies for white teeth. Many of the commercial teeth whitening products are useful to provide clean teeth, but they contain harmful chemicals which might cause damage to the teeth and overall well-being. Maintaining oral cleanliness is the natural and homemade solution for an impressive smile. Cleaning the teeth with salt and hot water after smoking and drinking is the better thing for protecting the enamel layer of teeth. Adding 5-10 drops of hydrogen peroxide to baking soda acts as natural teeth cleansing and whitening product. You need to add a teaspoon of baking soda with hydrogen peroxide and rinse the teeth with this paste for a few minutes. This combination is used in most of the commercial teeth whitening products which are very expensive. After using this paste, you need to brush your teeth with your regular toothpaste and rinse your mouth with fresh water. You need to repeat this procedure twice a week to gain a confident smile and shining teeth. Hydrogen peroxide helps to bleach the teeth naturally, and baking soda is useful to clear surface stains and provides natural whiteness to teeth. Baking soda acts as a natural, gentle cleanser and protects white teeth for a longer time when compared to normal teeth whitening products available in the market. In olden days, people used to brush their teeth with charcoal powder. Using an active charcoal brush to clean the teeth twice a day helps to restore white teeth by removing tartar and plaque naturally without pain. Cleansing the teeth with the help of a dentist is an expensive and painful process. For this, you need to fix a specific appointment and need to stop the intake of food for a prescribed time. Active charcoal brush reduces all this hassle and restores your dazzling smile with very less effort and expense. Another remedy is, use food grade active charcoal and sprinkle it on a soft toothbrush and brush your teeth with that paste. This remedy leaves your teeth brighter and cleaner for a longer time. You need to brush your teeth for two minutes and take care that you will not spatter it since it causes irritation to gums. Then, brush your teeth with regular toothpaste. Continue this procedure for twice a week to attain cleaner and whiter teeth. 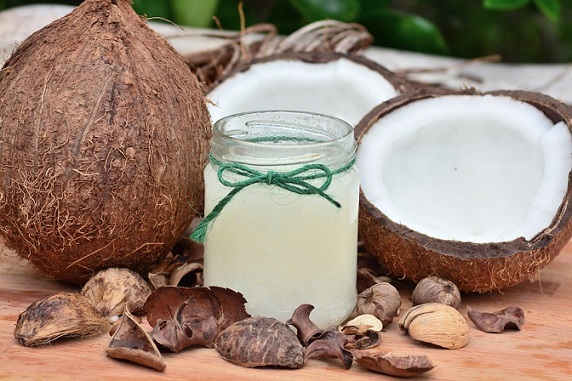 Coconut oil pulling is another remedy for natural teeth whitening. This process is useful to clean plaque and tartar naturally. This is one of the ancient teeth whitening technique. Gargle warm coconut oil, preferably organic coconut oil to clean your teeth and retain dazzling smile. Then you need to sprinkle baking soda on your teeth to gain sparkling smile and protect teeth and gums from bacteria and germs. Coconut oil helps to reduce gum diseases and tartar and baking soda help to clean surface stains on teeth. The solution of coconut oil and baking soda helps to restore natural white teeth within a few weeks. Coconut oil swish is also another remedy to clean the teeth after smoking, drinking, or eating sweets. To prevent irritation, you can use sea salt after rinsing the teeth with coconut oil. Sea salt is the natural teeth whitening agent and removes plaque and bad odor naturally. Apple cider vinegar is used as a bleaching agent in many commercial teeth whitening agents. Apple cider vinegar can be consumed and gargled like a mouthwash solution for a few minutes and after that to remove the odour of apple cider vinegar and you can use sea salt to brush your teeth or sprinkle baking soda to restore white teeth. Apple cider vinegar is a popular tooth cleansing agent and contains acetic acid to kill germs and bacteria. This is an ingredient in many of the tubes of toothpaste. Lemon or Orange peels are natural sources for acetic acid. Acetic acid effectively fights tartar and plaque and prevents bad odor of teeth. These peels can be used as natural scrub for teeth to get rid of bad odor and restore white teeth. You need to scrub with the white side of the peel and rinse with salt water or fresh water to regain white teeth. You can brush with regular toothpaste after using the orange or lemon peels to scrub your teeth. 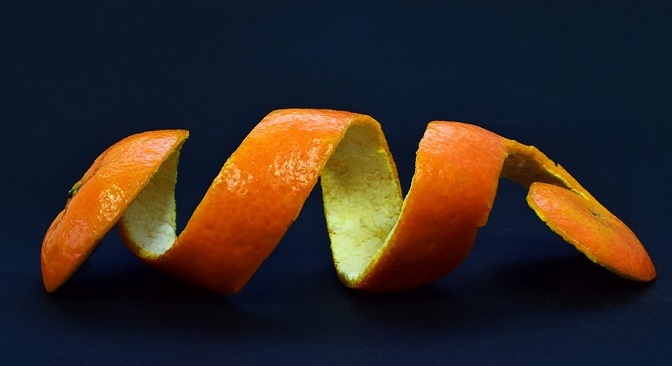 Citrus peels contain d-lemonin which help to clean and shiny teeth. You can sprinkle white side of lemon or orange peels which act as a natural whitening and cleansing agent. Toothpaste can be prepared using essential oils like peppermint oil and baking soda to attain clean and sparkling teeth. The combination of sea salt and turmeric powder can be used to prepare homemade toothpaste to gain a shiny smile. You can use the combination of sea salt and lemon juice to gargle your teeth after eating sweets or consuming beverages like soda or wine to preserve the enamel. You can use the crushed strawberry and baking soda to scrub the teeth and protect the enamel of teeth. 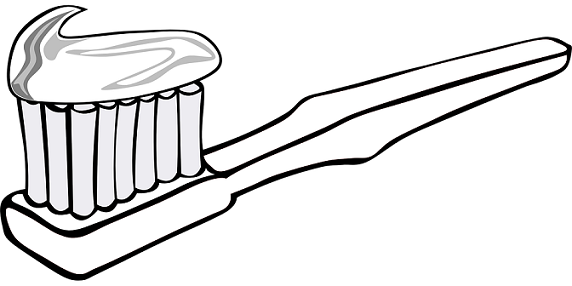 After scrubbing, you can use your regular toothpaste for brushing. Strawberries contain malic acid that fights plaque and tartar, and hence the strawberry extracts are used as a cleansing and freshening agent for teeth. You can track the teeth whitening before and after treatment results by taking the photographs of your teeth before and after the suggested whitening process. You can observe the progress in your treatment week by week and consult the doctors if you notice any side effects. If you are undergoing any dental treatments, you need to take the advice of the doctors to continue with the natural whitening remedies. You can analyze the results by taking the photos rather than observing the results based on your memory. Keep in mind that natural teeth will get yellow with some changes in hormones, but it is not a serious issue if it is temporary. Over bleaching might cause damage to the enamel layer and hence take care that you don’t get over excited about natural shiny teeth and head to harmful treatments. Natural remedies for teeth whitening are a better idea when compared to harmful treatments. Apple cider vinegar, baking soda, lemon juice, sea salt, and lemon and orange peels can be used to attain sparkling teeth without much effort and hassle. This article is part of a group of bloggers that I am participating with to help you learn self-sufficient skills, save money, live a simpler and frugal lifestyle. 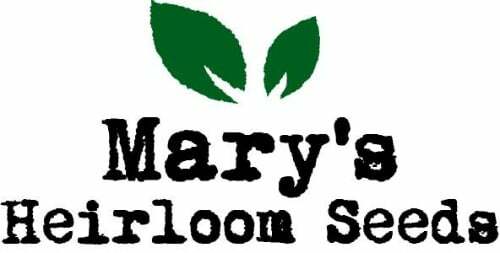 We want to help you learn new skills, ways to save money, live a healthier and happier life that will help you and your family learn to be more self-reliant. 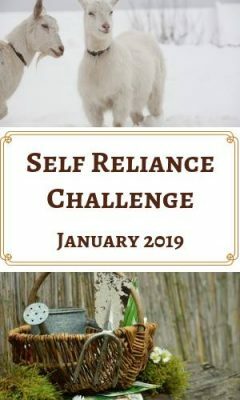 So please check out all the valuable information on Self Reliance Challenge for 2019. You are so welcome! I have done the oil pulling for quite a while and it does help you teeth stay whiter although I don’t drink coffee or eat too many things that stain by teeth but I always feel that home remedies are much healthier to use it almost all situations. Thanks for stopping by and commenting!